What We Are Up To - Don't Panic! You may have seen us mention some upcoming changes for Killing Floor 2, specifically around the Firebug panic incapacitation mechanic. Today we wanted to take some time to talk about what we are changing and why. First up, we are making it harder to panic the big zeds. Don’t “panic” just yet! Our goal here is so players who want to panic one of the Pounds or Scrakes can do so, but not accidentally and wrecking the rest of the team's cohesion in a “heated” moment. This applies both to direct fire (damage streams such as the Flamethrower), as well as Zeds that are taking burn over time damage. To support this change we’ve also made it easier for the Husk Cannon and Spitfires to cause panic. Previously these weapons had substantially lower fire panic values compared to other firebug weaponry and combined with the above change, these weapons should still be able to trigger the incap before the target zed dies (with the players intent to do so!). The final change we are making around fire panic is how the two states of enrage and panic work together. Currently in the live game, Zeds that are in both the panicked and enraged states will have the enrage take priority which can cause them to charge off quickly in a sporadic manner, which generally isn’t helpful to the team. Moving ahead the panicked state will take priority which should make the target zeds easier to track and damage. Tangential to the panic changes, the team is looking at some firebug weapon tweaks (Firebugs should no longer kill themselves with the Husk Cannon at close range) and fixes! We’ll have more details on those changes and more in the weeks ahead. We’ll be keeping a close eye on these systems once they are in players hands as our full goal is to make sure the Firebug (and other perks) complement each other. With the above changes, we believe Firebugs out there will more easily only panic the Zeds they want to and have a better experience with most of their weapons. If need be we’ll take a look at further tweaks and adjustments as we continue on this years roadmap! Last edited by Yoshiro; 02-11-2019, 03:01 PM. Hm... So, if we take that perk which makes Zeds burn amongst themselves? Will that cause panic? Like.. if i set on fire group of crawlers and cists? And scrake or Fp set himself on fire by being 2 close? And... other issue, if i may? Zed teleporting is really gamebreaking. You might call it a game feature. I call it bull$%. Sorry for foul language. If you dont trust me how this can be gamebreaking, i can link to some of my YT clips. It is still possible, but would likely take some direct fire from the firebug to initiate. We are aware of player concerns over zed spawning and have a fix we are working on that should stop zeds from spawning within line of sight in the upcoming update (this was being caused due to a bug that was returning incorrect information to the system). I hope these changes also include looking at the Firebugs T4 for readjustment. Mircowave gun is almost nearly useless with the only reason to keep it is the pushback mechanism, and husk cannon got nerfed a bit too hard last time where it doesn't seem to do well against fleshpounds as it used to. So this update is looking to be Firebug's time to shine? Sweet! Hope those changes will allow people to enjoy one of the most stupidly fun perk of the bunch. I cannot agree with the decision to make it harder to panic the big zeds. I understand that some Firebugs may hurt their team by wrongly enraging a Scrake, however, there are situations in which causing a big zed to panic is urgent and necessary. For example, if a Fleshpound is rushing toward myself or toward a teammate, I can buy a few seconds by causing it to panic (where it starts swinging its arms at the air) with a Mac 10 magazine (which may become a useless weapon after this Firebug patch is implemented). If the purpose of this change is to prevent players from being counter-productive, I would suggest changing the behaviour of the big zeds when they panic rather than making it more difficult to do so, such as making Scrakes start to swing at the air instead of sprinting as if they were enraged. Other than that, the patch sounds good, the Husk Cannon and Spitfire are certainly under-used in higher difficulties for being impractical, and the rage/panic priority changes make sense and are most welcome. Glad to see the more focused approach on balancing here. I hope that every perk gets a QoL pass like this at some point, even the (mostly) perfect ones such as Commando. Firebug certainly needs it the most though, apart from Survivalist ofc. 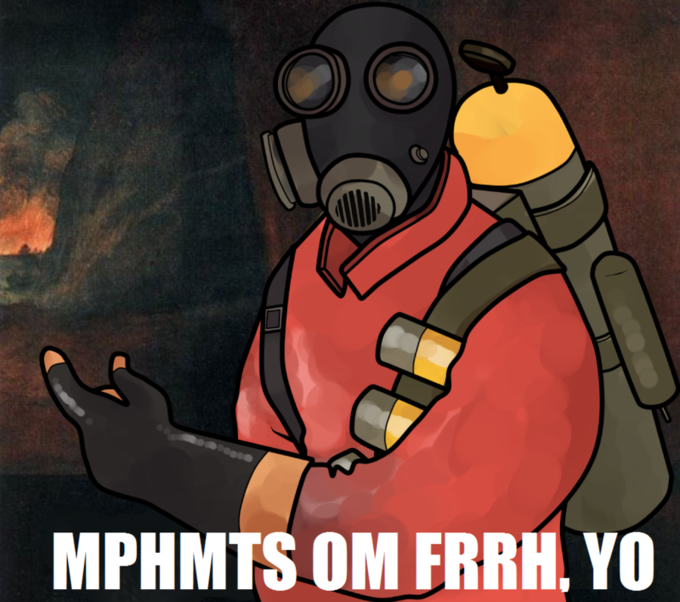 As someone who loves firebug, but only semi-viable setup now is full on DoT and direct damage+ fully upped trench and mac10, but then again panic. We've got a few Survivalist changes slipping into this update as well I believe. Once I know for sure I'll be talking about them. Yay... Survivalist getting some love. I don't have that much problems with panic, more than with perk skills and weapons. Husk gun and microwave is useless, shotgun and mac is useless cross perks, skills like bigger range or ground fire only being usefull for flamethrowers. Firebug is still not so much a threat to bloats and crawlers, can't deal with gas, and all that stuff. The Husk Cannon had a bug that prevented the quick shots from doing the intended damage. That's fixed on this update, so we'll be looking for feedback on it once players try it out. Zed Shrapnel also got some adjustments. I'm assuming that's the percentage at which zeds explode that was changed? Or maybe the blast radius of the explosion since it was rather tiny.